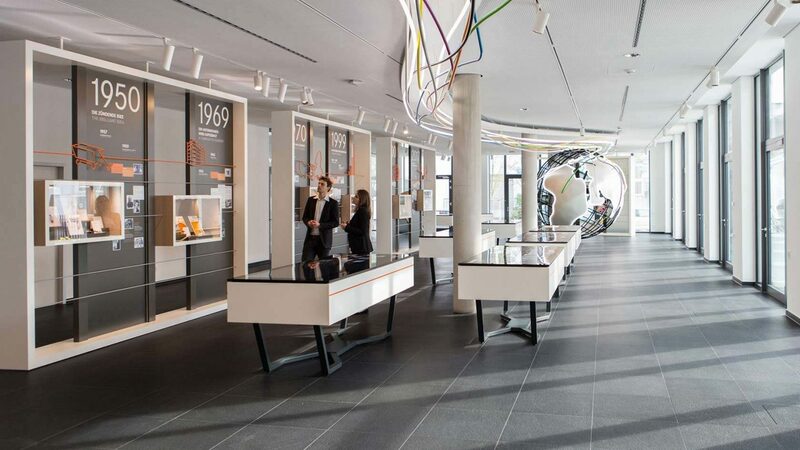 In the exhibition in the new Lapp European Headquarters, the cable as key product is not only topic, but also visual leitmotif in all design dimensions. Lapp Kabel is one of the innovation leaders in the field of cable and connection technology. 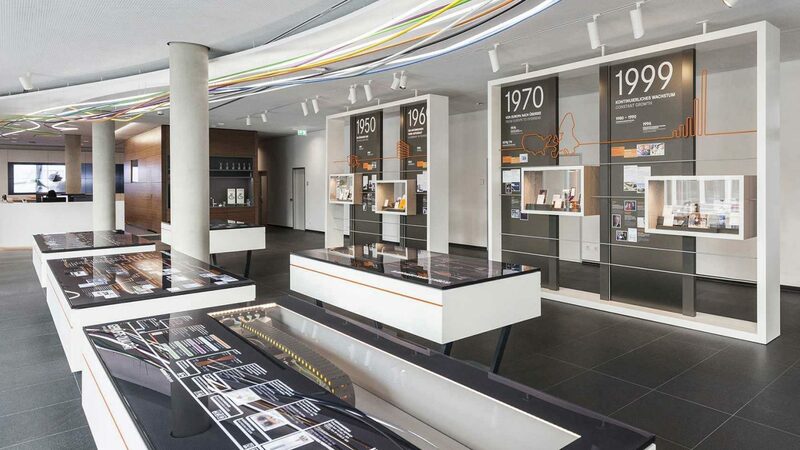 For their new corporate exhibition, Milla & Partner combines the past, present and future of the family business and focuses on the great innovative power of Lapp Kabel. 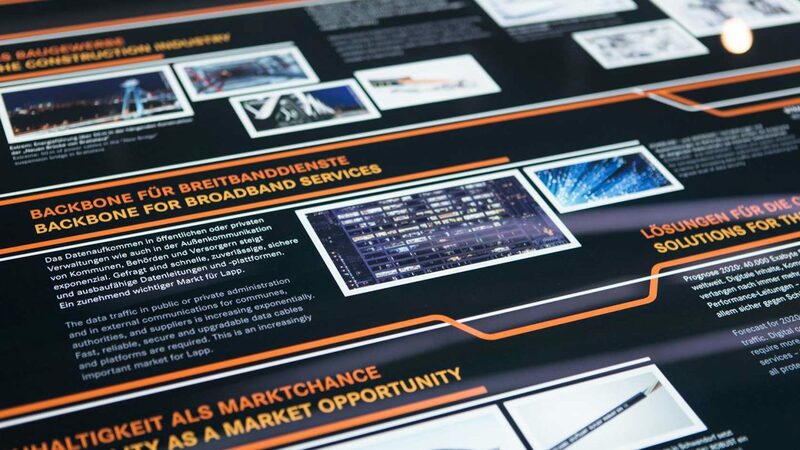 The cable as a key product is not only topic, but also visual leitmotif in all design dimensions: From exhibition architecture and content, exhibit design to graphics and media design of interactive exhibits. The exhibition opens with an alluring spatial installation along the ceiling. 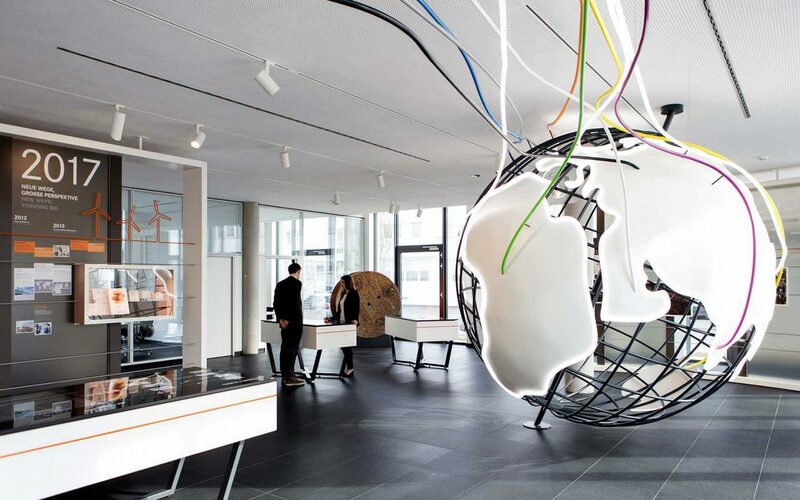 It follows the company´s journey from the ingenious founding idea to today's global group: the loose cables connect into a twisted cable strand that then passes into the luminous globe. 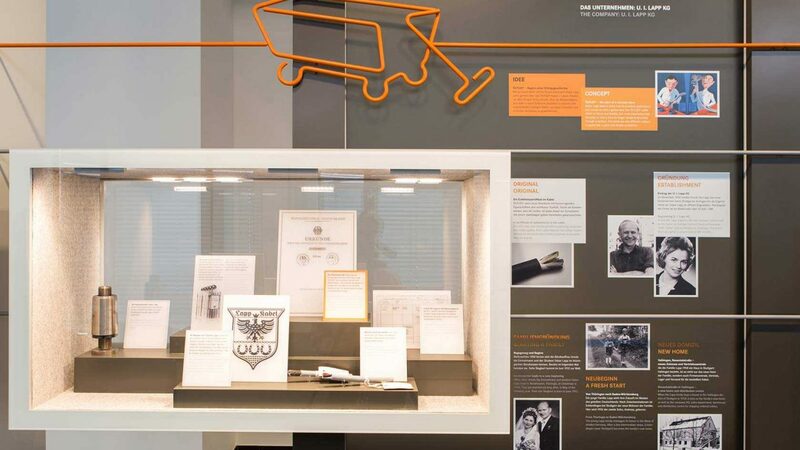 They accompany three historical frames with milestones showing illustrations, texts, pictures and objects. Analogue and digitally enhanced thematic tables at the center invite visitors to discover and explore the various Lapp fields of business. The self-explanatory exhibits with their precise presentations render the group´s broad portfolio comprehensible and easy to grasp for the heterogeneous visitor groups. Company and family history flank the tables along a transparent historical wall. 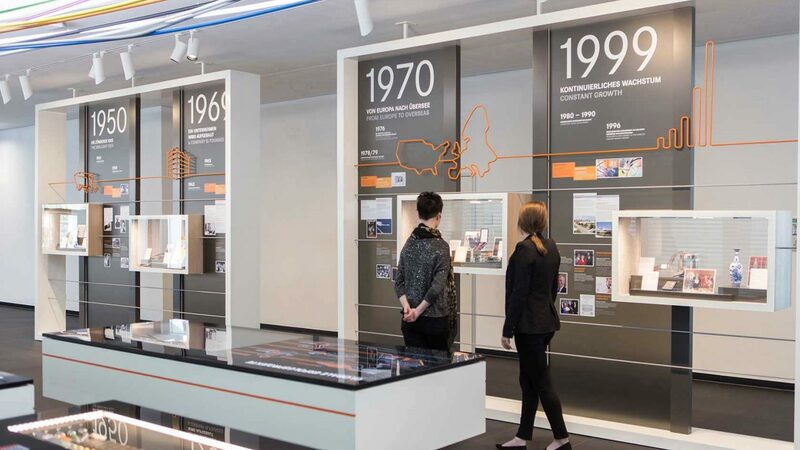 It takes visitors on a fascinating journey from the beginning of the company in 1959 to the future and introduces the most important milestones of Lapp. Showing the links between them, innovations are placed in context with the company and family history. 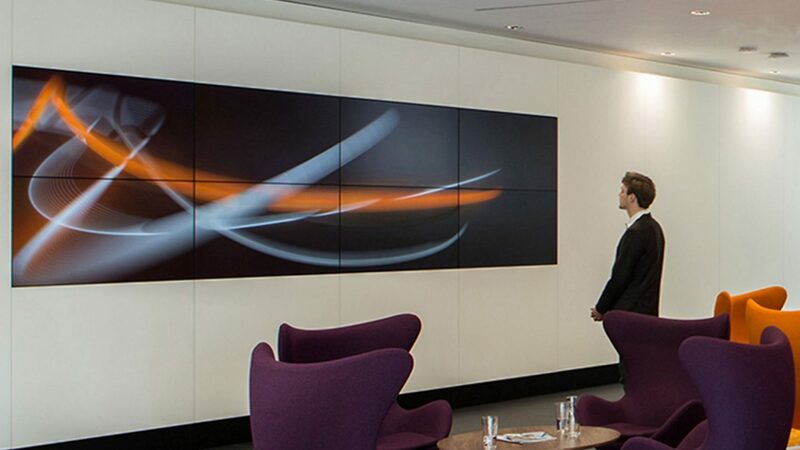 A large media wall in the waiting area of the foyer offers real-time insights into the Lapp organism. Again, the cable serves as leitmotif for the design of the media production: moving cables and cable harnesses generate abstract images, which repeatedly merge into new graphs and provide special insights into the company. 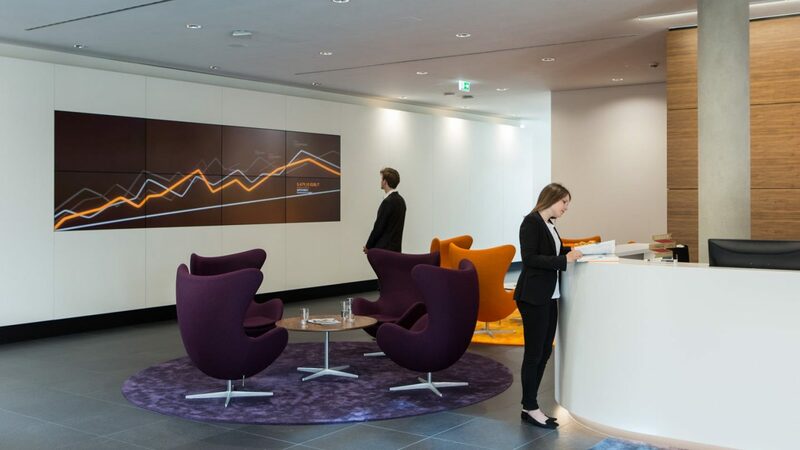 Facts such as current production figures, the number of patents owned or the employees present at all locations are integrated into the display.